People interested in being involved in Science in the City can do so by joining the volunteer programme. For seven years, Science in the City has been building bridges between researchers and artists to organise a night of wonder. Dazzling artworks, inspired by Malta’s most relevant research, have become synonymous with the festival’s magenta logo. Few really know that this is only made possible thanks to a small team of dedicated individuals, a growing number of partners and hundreds of volunteers. 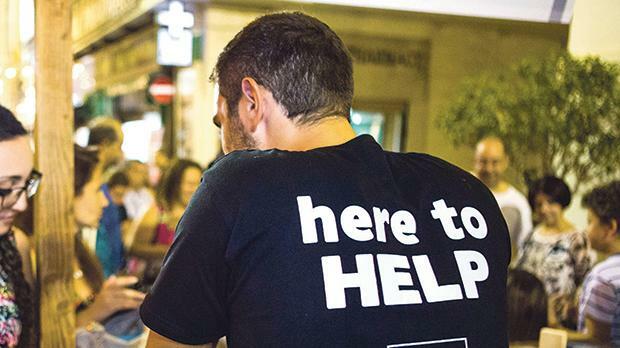 Volunteers can choose to be part of a number of opportunities on the night. These include welcoming and ushering visitors, conducting research and evaluation, communicating information about the events and photography. Being a volunteer at Science in the City means developing new skill sets, thanks to training sessions set up by the organisers, the voluntary work itself and by meeting interesting professionals from different fields. People interested in being involved in Science in the City can do so by joining the volunteer programme. Those interested can apply online at http://bit.ly/volunteersitc. For more information, e-mail info@scienceinthecity.org.mt or follow Science in the City, Malta on Facebook.